Storybook Escape: Grave Mercy Giveaway! 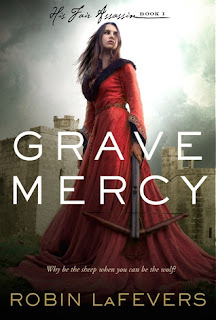 So remember that Waiting on Wednesday post (I think it was #3) where I mentioned I was dying to get my hands on Grave Mercy by R.L. LaFevers? Well, both you and I are in luck! There is currently an ARC giveaway being held by PJ Hoover. You can sign-up for the giveaway here! Good luck!! !